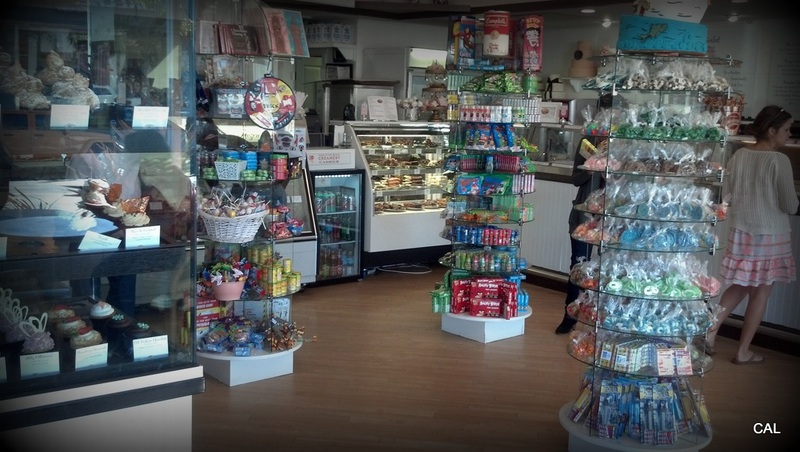 When heading over to my favorite cup-cakery to grab treats for an upcoming birthday a few days ago; I was excited, then bummed, then excited again, then nostalgic. Explanation? 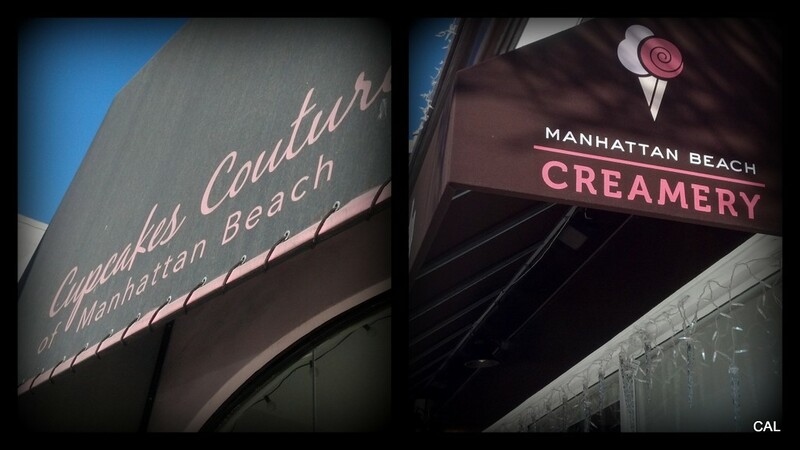 Excitement: sneaking to Manhattan Beach to grab surprise gluten-free birthday treats for my boyfriend. Bummed: a “we’ve moved” sign greets me. Excitement: reading the rest of the sign, “…down the street.” Nostalgia: missing the charm of the old shop I’ve come to love. 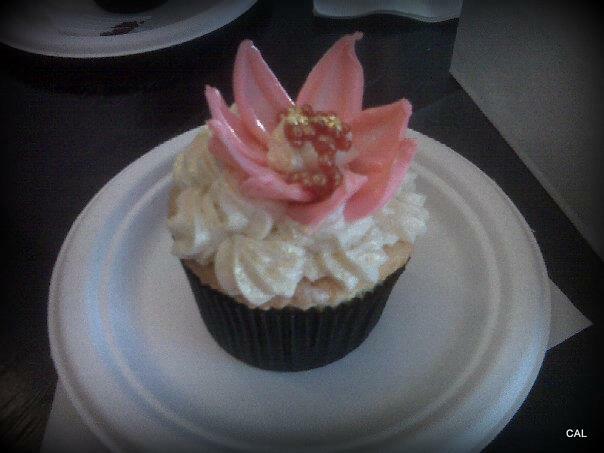 Cupcakes Couture, the bake shop that I rave about to all of you, has moved. 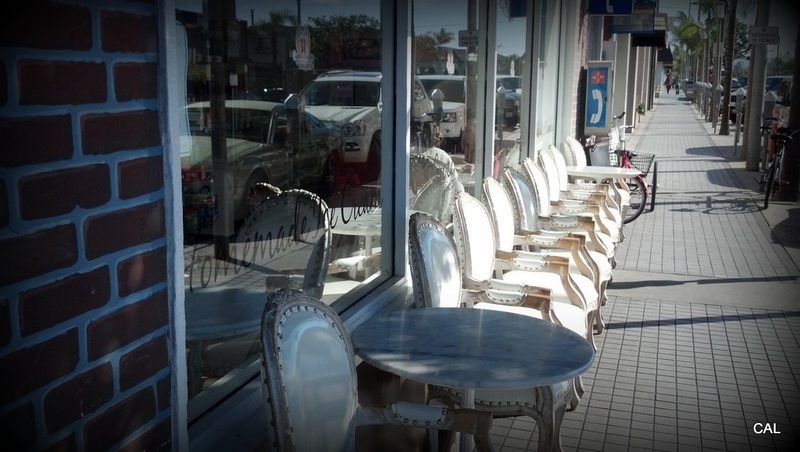 Luckily, it’s only down the street and into the Manhattan Beach Creamery. 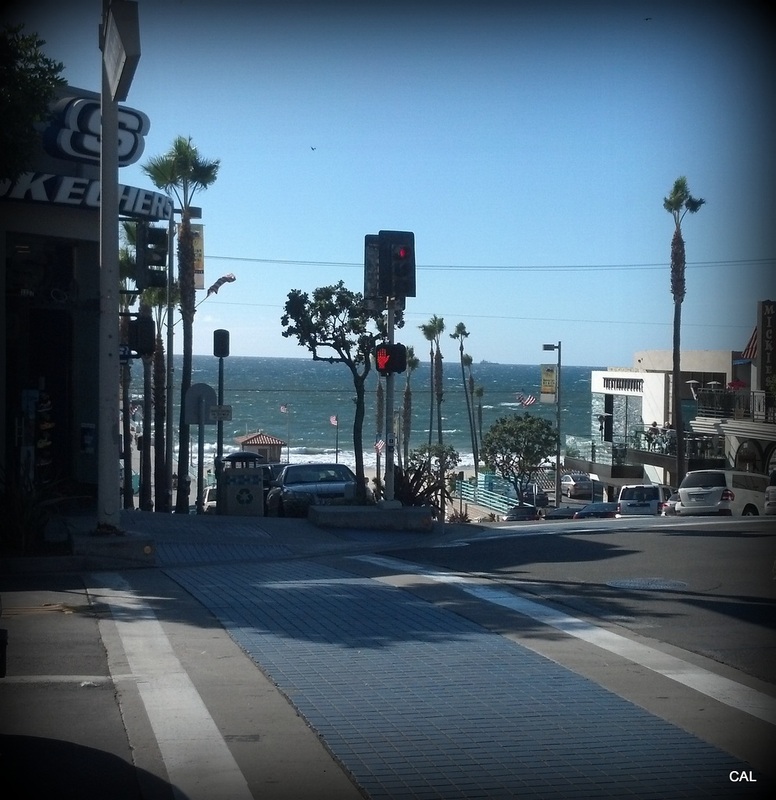 I’m sure such a move will be great for business because it’s in a prime location to attract tourists strolling the beautiful sidewalks of Manhattan Beach Boulevard. For an old fan like me, there was something so charming about that little shop that I’ll miss. 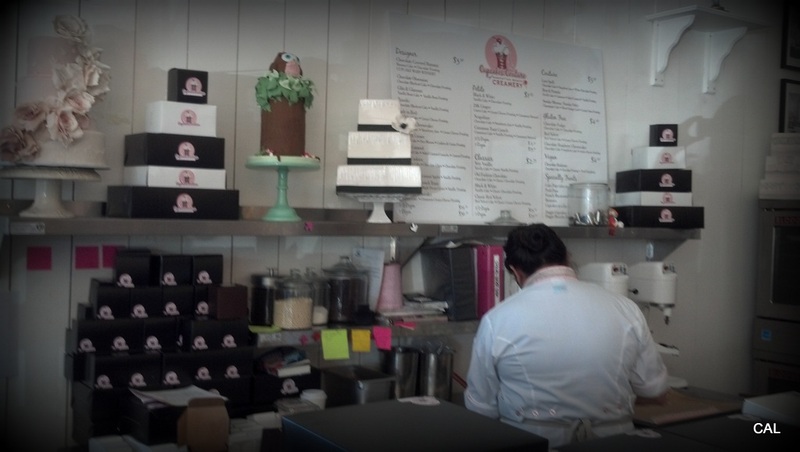 As you would enter the store, directly to your right was a large glass window, where you could see the pastry chefs working magically to create the most gorgeous cakes. 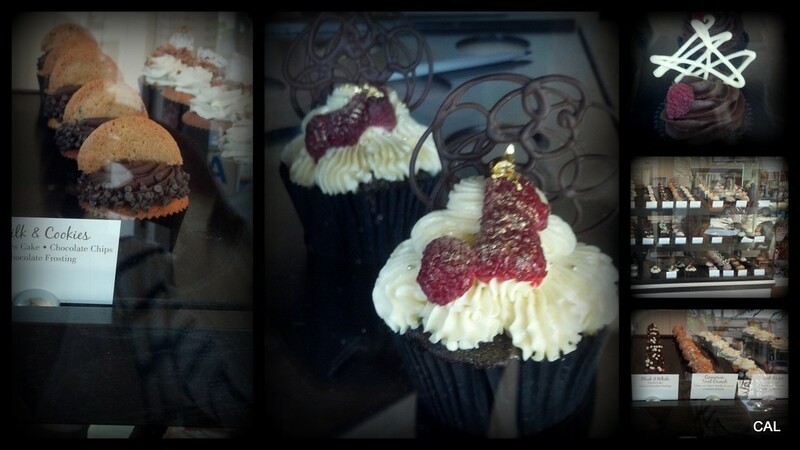 To your left, a large glass display filled with a variety of the best dressed cupcakes in town would welcome you. There was such a fun, flirty design to the store that made it a great place to visit. I can certainly understand why the owner, who recently blogged about her change of venue, was excited about the upgrade in light of her growing family (and let’s be honest, a scoop of ice cream while enjoying a cupcake is never a bad idea), but moving into The Creamery lost a touch of that charm I loved about the original location. I later learned that the move was on November 1st. Perhaps since I visited the new set-up only 9 days later attributes to some of my unhappiness with the new location. The counter didn’t feel put together, boxes were strangely arranged in random places, the sign hadn’t even been put up over the booth, and the decor felt cluttered. I’m sure once the team settles in, that fun and flirty nature will return to Cupcakes Couture’s new spot in The Creamery. Hopefully, this was just a visual glitch. 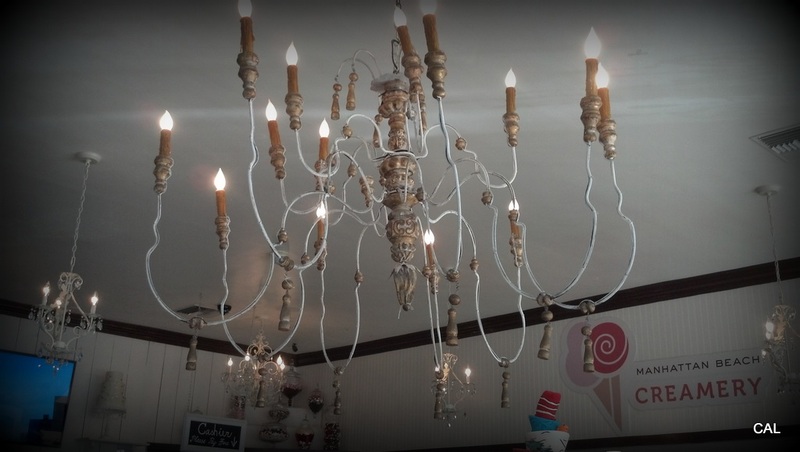 Otherwise, the rest of The Creamery, housing a gourmet ice cream station, specialty desserts section, and candy racks everywhere has a unique vibe that works – those awesome chairs and that chandelier were my favorites. The most important fact of all, and what will keep me coming back for more, are that the cupcakes are still some of the best I’ve ever had; great tasting, moist, with a flair in design. The executive pastry chef duo that creates and bakes is the same, so what is ultimately special about the best cupcakes in Los Angeles remains untouched. This makes me happy.